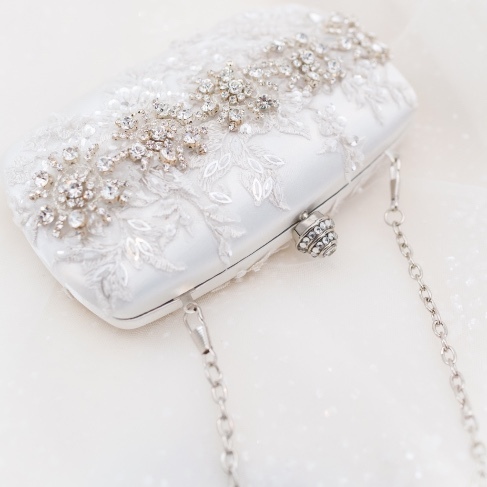 Small couture bridal clutches that hold all our wedding day essentials. 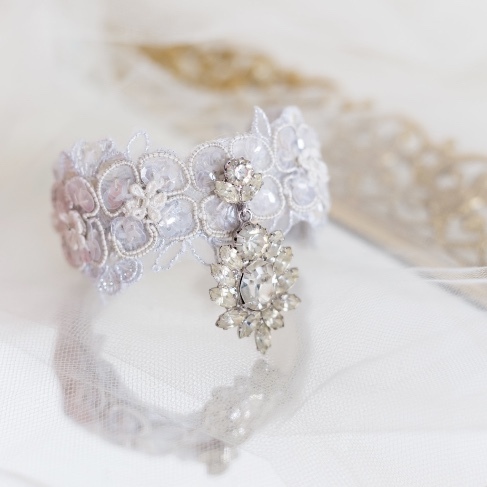 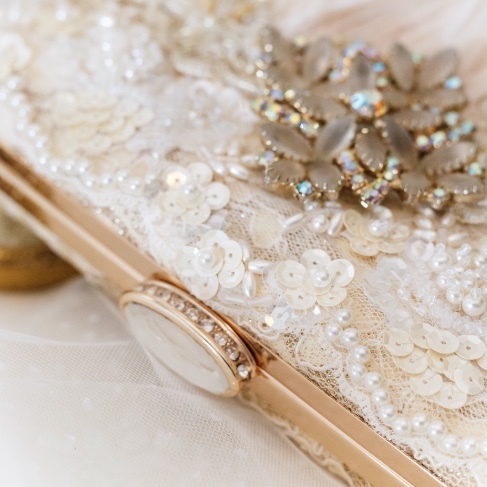 Make your accessories unique for your special day. 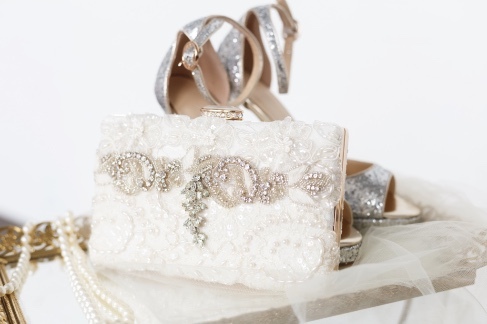 Just a little touch of Blush for the Spring brides. 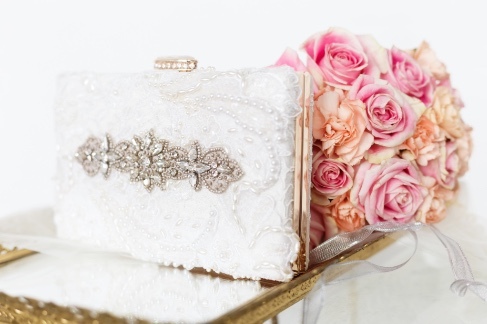 Complete your bridal look with a gorgeous one of a kind bridal clutch designed from vintage jewels. 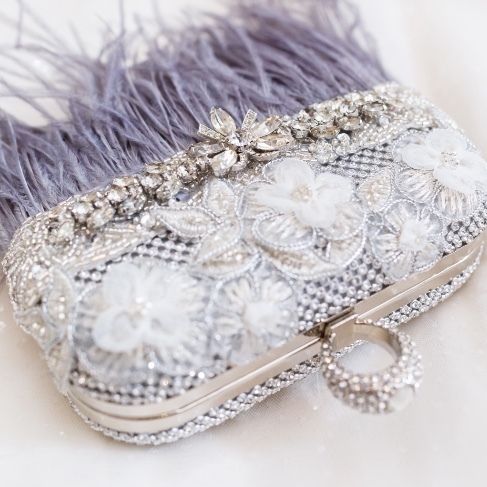 Evening ready with this gorgeous gray ostrich feather clutch. 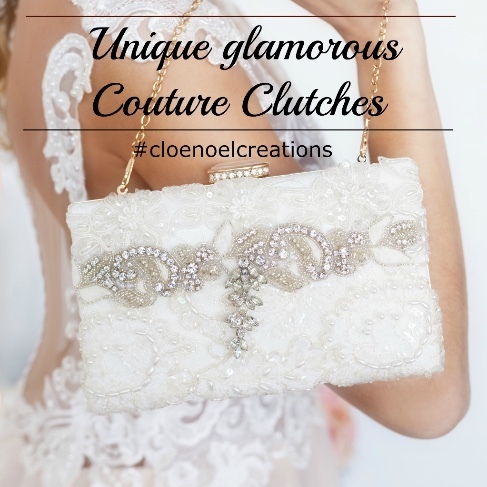 Brand New collection for Spring 2019 "Glamorous"
Bridal clutch details is what we love to design at Cloe Noel. 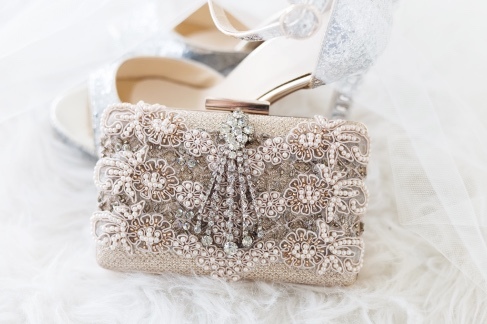 Just a little touch of vintage glam! 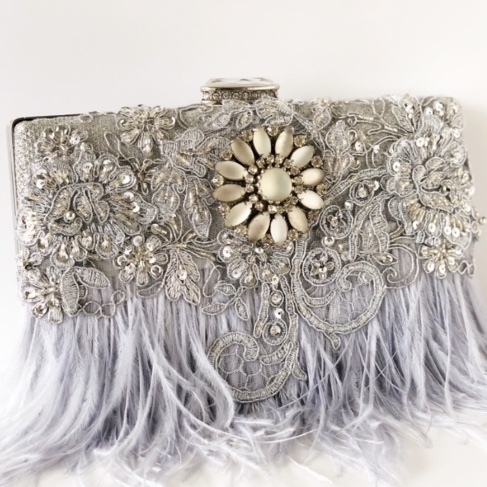 Glamorous bespoke ostrich feather clutch designs. 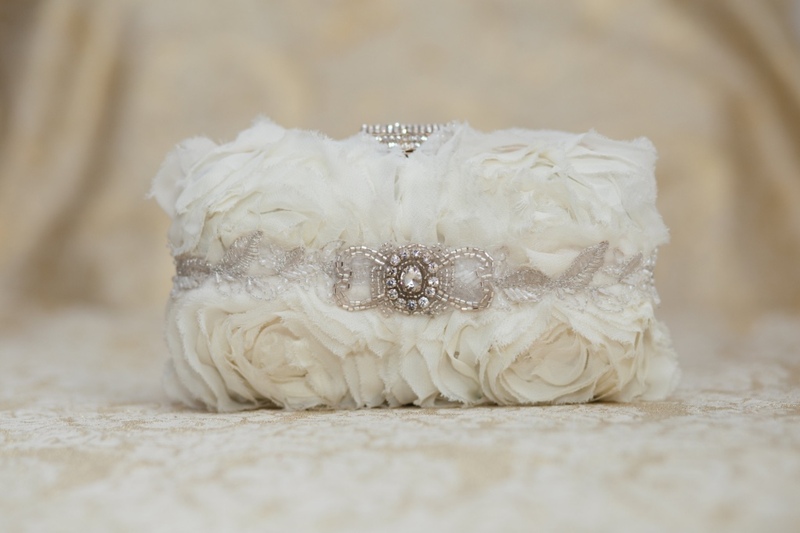 Dreamy one of a kind ostrich feather bridal clutches. 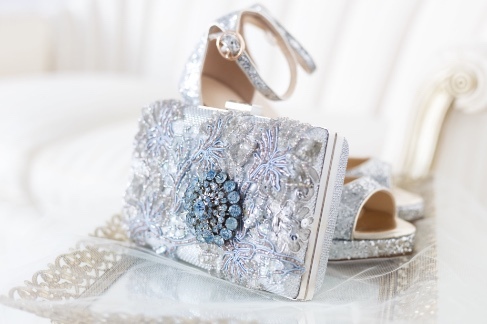 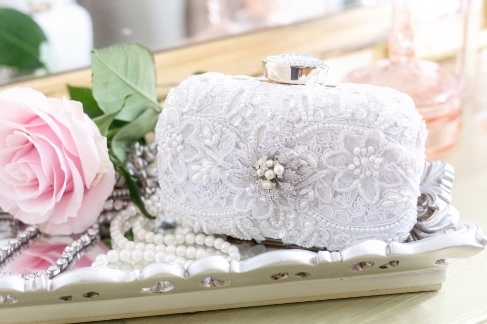 Unique glamorous one of a kind bridal clutches that are the perfect keepsake. 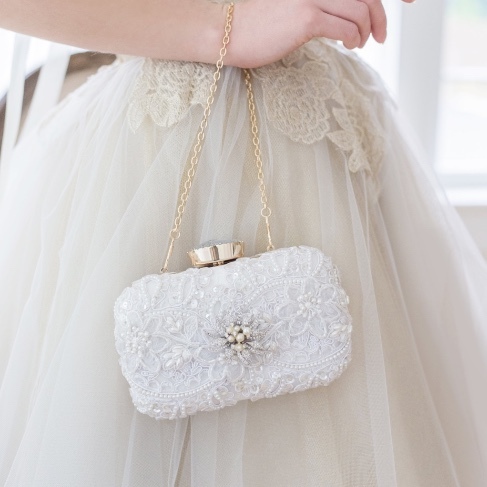 Pretty little blush details with a gorgeous vintage jewel. 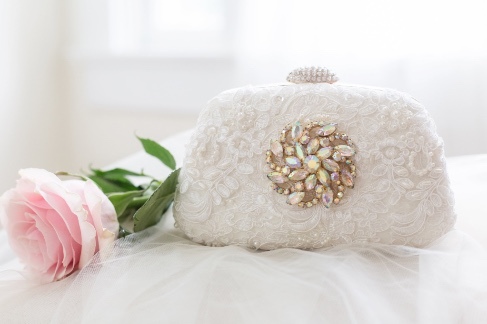 Finish your bridal look with a gorgeous one of a kind bridal clutch. 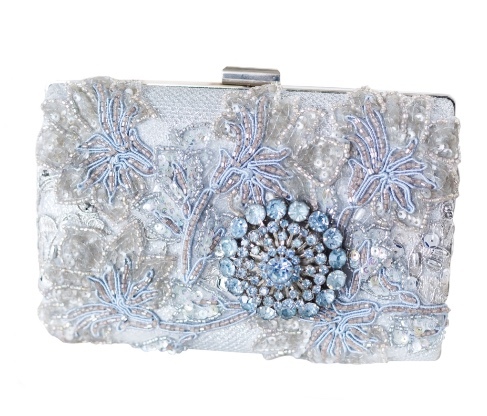 Unique glamorous and one of a kind couture clutches that finish your bridal look. 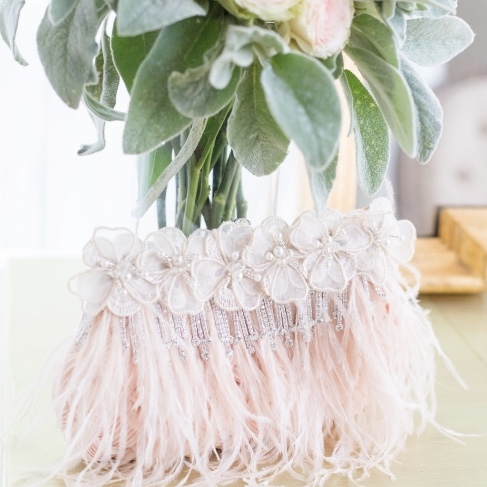 Blush ostrich feathers and a touch of rhinestone jewels. 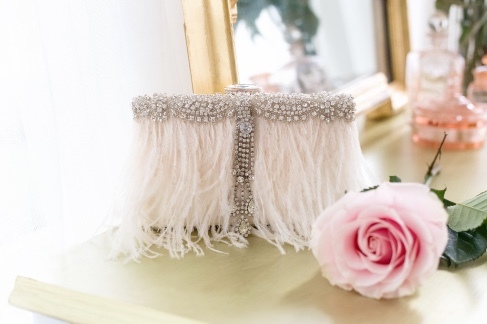 Unique and glamorous ostrich feather bridal clutches that sparkle.